The Weizmann Institute’s more than 80 years of impact starts with a simple question and plenty of imagination and drive. But it takes even more to power our researchers and their laboratories to life-changing success. Individuals, corporations and foundations around the world invest generously in the Weizmann Institute’s research, graduate education and scientific outreach programs, including many Canadians who share our belief in the power of research. Continuing to give scientists the time, space and resources to imagine and discover is the priority of Weizmann Canada. No stranger to pharmaceutical innovation, Prof. Ruth Arnon is the co-developer of Copaxone®, a multiple sclerosis drug that improves quality of life for 40% of the world’s MS patients. This success using peptides to stimulate immune response led her to set sights on blocking viruses that attack people. Now she has developed a universal influenza vaccine which has entered Phase III clinical trials. It is a promising one-shot strategy to prevent the flu for many years and against all strains of the virus. 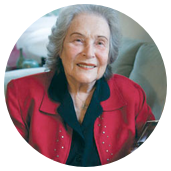 Ruth’s almost 60-year career at the Weizmann Institute began with a curiosity about the immune system and a desire to help others. But without the foresight and generosity of our remarkable donors, these revolutionary medical breakthroughs would not have been possible. 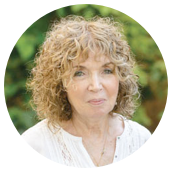 To pay it forward, Ruth has made a generous contribution to establish the Ruth and Uriel Arnon Science Education Campus, investing in the science literacy of future generations. Donor support is crucial to our scientists, whose out-of-the-box thinking is leading to global health solutions. He’s driven rovers on Mars, examined lakes on Titan, and is close to solving the mystery of how our moon was formed. 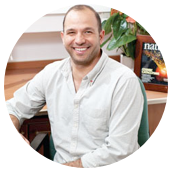 Prof. Oded Aharonson is a world-leading planetary scientist determined to crack the secrets of the universe and to answer the biggest question – are we alone? Recently, his team collaborated with scientists from 9 countries and observed a planet like Earth orbiting a neighbouring star. This planet is in the ‘habitable zone,’ a temperature range which permits liquid water and, possibly, life. Now Oded is the Mission Scientist of SpaceIL which has partnered with the Weizmann Institute to land the first Israeli spacecraft on the Moon. Exploring space is an opportunity to discover new worlds, build cutting-edge technologies, and collaborate across borders for the advancement of all of humanity. Without donor support, these monumental endeavors would not be possible. Help bring us closer to uncovering the mysteries of the universe and its limitless possibilities. When Prof. Michal Schwartz first proposed that the immune system plays a critical role in the health of the brain, she was met with strong resistance. The scientific community was convinced the two were distinct systems with no interaction. With visionary donors behind her, Michal persevered. Her discoveries broke down the barriers between neuroscience and immunology and proved that the immune system plays a vital role in brain health and repair. Now, her research could help improve treatment for Alzheimer’s disease, spinal cord injuries, glaucoma and depression. Most recently, she demonstrated how immunotherapy developed for cancer can combat Alzheimer’s – nothing less than a potential game-changer in treating neurodegenerative diseases. You can play a vital role in unlocking treatments of Alzheimer’s and other devastating diseases. Support the Weizmann Institute today. Help make breakthroughs happen. Donate Now.